April 30, 2006 | It has thousands of students trek across its path every day. Dating back to 1920 it has seen World Wars, football games, and farm animals. It's beautiful, it holds events, and is green and healthy; it is the Utah State University Quad. Founded in 1888, USU was established under the Land-Grant Act of 1862 . This act, according to usinfo.state.gov was an, "Act donating Public Lands to the several States and Territories which may provide Colleges for the Benefit of Agriculture and the Mechanic Arts." "The Land-Grant Act required USU to have a certain amount of green space, that the university can't build on," said Trent Hunsaker a USU Orientation staff member. USU has more green space than any other college in Utah, the most popular green spot is the Quad located on the northwestern end of campus. The most historical buildings on campus surround the Quad: Old Main, Family Life, Ray B. West, Animal Science, and Geology. 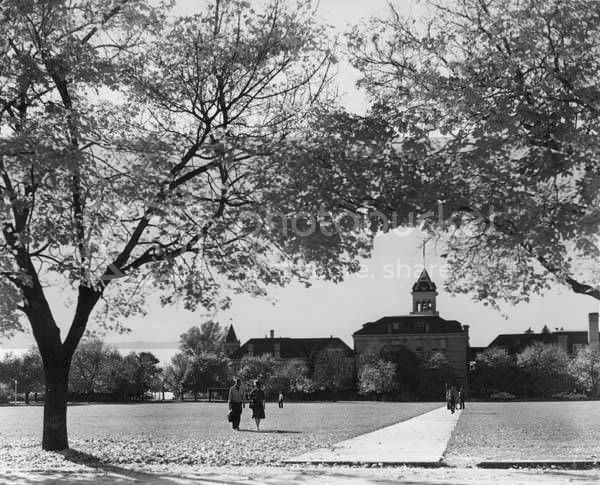 Just like these buildings the Quad has had many faces. 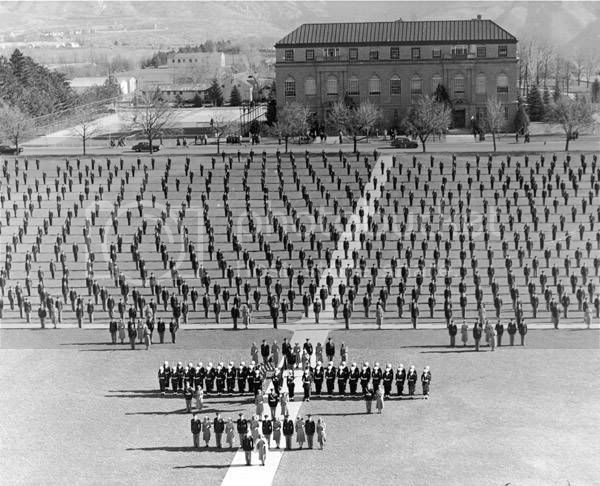 Another requirement under the Land-Grant Act was that Military Science had to be taught at USU. This led to USU's nickname during World War 11, "West Point of the West." The Quad became useful for these military men and women by providing space for Military drills and formations. "I love learning about how USU is so strong in its military roots, and I love being a member of the USU ROTC," said Jen Fridel, a sophomore majoring in exercise science and a member of the USU Air Force ROTC. The Quad was also the spot for the USU football team. The local newspaper at the time, The Journal, reported after the first intercollegiate football game on the Quad against the University of Utah saying, "The great football game has been playedÝ. Blood flowed, mud splashed, and hearts flutteredÝ. Finally the game ended and the score was announced with many cheers for the victorious students of the Agricultural College. 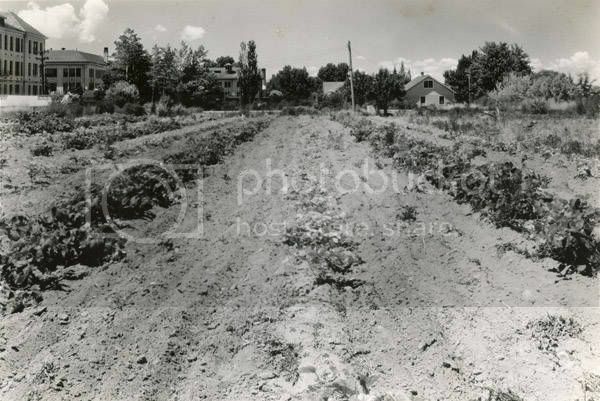 Just as the USU original names read: Agricultural College of Utah (1888), Utah Agricultural College (1916), and Utah State Agricultural College (1929), USU has deep roots in the study of agriculture. This led the Quad to be used for farming, and to be filled with crops and plants. It wasn't uncommon for students to walk past corn stocks, potato fields, and other plants on their way to class. Today, the Quad still stands strong. On a warm day it is covered in students studying and enjoying the good weather. In the fall during the Week of Welcome and in the spring on A-Day, the Quad is covered in booths, stages with bands, and students learning about all of the clubs on campus. Intramural sports are played on the Quad along with ice sculpture contests. "I love the Quad, it makes my day to walk by it and see all the beautiful green space when all I see is the inside of the class room day after day," said Chelsea Spath, a senior graduating in audiology. For years to come the Quad will be the location of memories at USU. "The Quad makes USU unique. 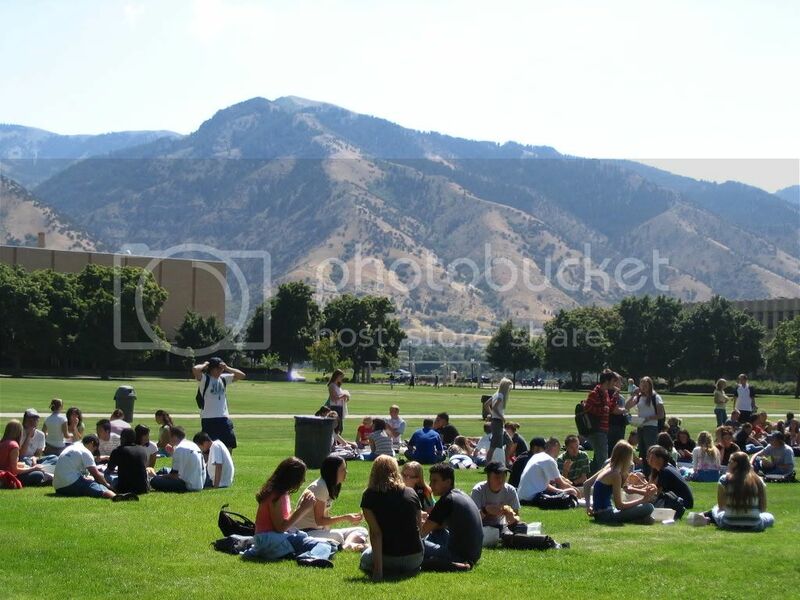 I have had so many great times on that grass during my time at USU. When I come back in 10 years, I know that is one thing that will never change," said Spath.